Google Tuesday unveiled its new curriculum and accompanying computer game that aim to teach kids to be responsible and safe online. The resources are available through Google’s Be Internet Awesome project, which was evaluated by the International Society for Technology in Education (ISTE) and received the Seal of Alignment for Readiness for its pedagogical value. “Be Internet Brave,” or talk it out when in doubt. 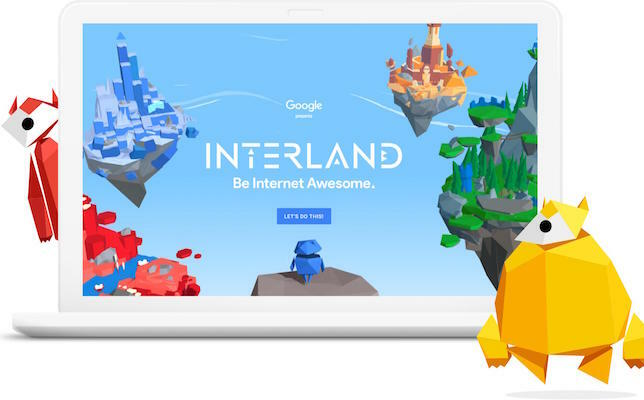 Lessons are delivered through Google’s web browser-based game called Interland. In the game, players must navigate four different lands and embark on “a quest to deny hackers, sink phishers, one-up cyberbullies and outsmart oversharers,” the game trailer states. In the “Tower of Treasure,” for example, the town’s tower has been unlocked, “leaving the internet’s vulnerables at high risk,” the game explains. To outrun the attacker, players must collect alphabet and number blocks to build the most secure password possible. A video game trailer for Interland. Be Internet Awesome was created in collaboration with online safety organizations like the Internet Safe Keep Coalition, ConnectSafely and the Family Online Safety Institute, according to the blog post. Google’s curriculum and game are two of several resources for families and educators to use to encourage safe internet use. In addition, Google teamed up with various YouTube creators to get the word out about the project via social media. The #BeInternetAwesome Challenge video series for parents and kids “makes talking about online safety fun and accessible,” according to the Google blog. The series is led by familiar YouTube stars like author John Green and MinutePhysics. Learn more about the project by watching the video below or visit the Google site.